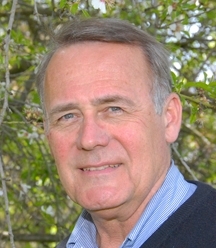 Congratulations to James R. Carey, distinguished professor of entomology at the UC Davis Department of Entomology and Nematology for his public service award! He has just been named a recipient of a Distinguished Scholarly Public Service Award from the UC Davis Academic Senate for his "outstanding research, outreach and advocacy program involving invasion biology, specifically his significant contributions on two California insect pest invaders, the Mediterranean Fruit Fly (medfly) and the Light Brown Apple Moth (LBAM)." Carey's public service led to much-needed in-depth discussions and greater understanding of these two agricultural pests; saved California millions in cancelled ineffective programs; and focused national and worldwide attention on how to deal with invasive pests. 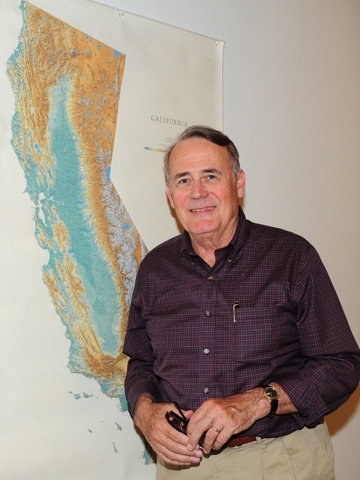 An internationally recognized leader and distinguished scholar in invasion biology spanning three decades, Carey launched an informed, concerted and widespread effort to reveal the science about the invaders that threaten California's $43.5 billion agricultural industry. His well-documented research in basic and applied aspects of invasion biology shows that these pests are established and cannot be eradicated. They continue to spread, despite more than 30 years of intervention and nearly 300 state-sponsored eradication programs. Carey has published his research in major journals, served on the governor-appointed California Medfly Science Advisory Panel, testified before the U.S. Congress and California state legislators and to other government entities; held workshops with citizenry; developed and disseminated information; and granted more than 200 interviews with major print and electronic news media, including the Los Angeles Times, New York Times and Science. Carey drew state, national and international attention with his groundbreaking paper documenting medfly establishment in California in a 1991 edition of Science, and more recently, with the LBAM invasion. Carey is a fellow of the Entomological Society of America (ESA), American Association for the Advancement of Science, the Gerontological Society of America, the California Academy of Sciences. Highly honored by his peers, Carey received the 2014 C. W. Woodworth Award, the highest award given by the Pacific Branch of ESA, and a 2014 Academic Senate Undergraduate Teaching Award. He was selected a plenary speaker for ICE 2016, the XXV International Congress of Entomology, to meet Sept. 25-30, 2016 in Orlando, Fla.
His past public service includes chair of the University of California Systemwide Committee on Research Policy; member of the systemwide UC Academic Council; and vice chair of his department. He presently serves as the associate editor of three journals: Genus, Aging Cell, and Demographic Research. Breaking news shook the agricultural world today. The Mediterranean fruit fly, considered the world's worst agricultural pest, is one of at least five fruit flies established in California. It cannot be eradicated. Carey and UC Davis-affiliated colleagues Nikos Papadopoulos and Richard Plant wrote the eye-opening research piece, "From Trickle to Flood: The Large Scale, Cryptic Invasion of California by Tropical Fruit Flies" in the current edition of the renowned Proceedings of the Royal Society B. Their work "clearly demonstrates that at least five and as many as nine species of tropical fruit flies, including the infamous Medfly, are permanently established in California and inexorably spreading, despite more than 30 years of intervention and nearly 300 state-sponsored eradication programs aimed at the flies," wrote Pat Bailey in a UC Davis News Service story released today. The findings, Bailey pointed out, have "significant implications for how government agencies develop policies to successfully manage pests that pose a threat to California's $43.5 billion agricultural industry." Carey, an international authority on fruit-fly invasion biology, told her that "Despite due diligence, quick responses, and massive expenditures to prevent entry and establishment of these insects, virtually all of the fruit-fly species targeted by eradication projects have been reappearing in the same locations — several of them annually — and gradually spreading in the state." Carey, Papadopoulos and Plant detailed the problem in the opening paragraph of their meticulously researched paper: "Since 1954 when the first tropical tephritid fruitfly was detected in California, a total of 17 species in four genera and 11,386 individuals (adults/larvae) have been detected in the state at more than 3348 locations in 330 cities." That's three out of four California cities. Michael Parrella, professor and chair of the UC Davis Department of Entomology and Nematology: "The study has dramatic implications for California agriculture and the state’s international trading partners, and speaks to the urgent need to alter current eradication policies aimed at invasive species." Frank Zalom, UC Davis entomology professor and incoming president of the 6500-member Entomological Society of America: “This study deserves serious consideration, and I hope that it helps lead to new discussions on a long-term approach for dealing with fruit flies and similar exotic pests by the United States and international regulatory authorities." The Medfly, smaller than a house fly, was first detected in California in 1975. 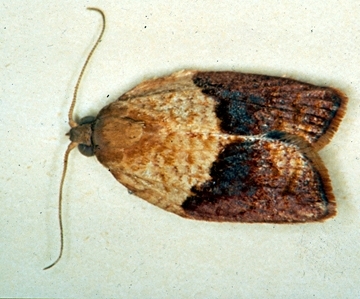 It's considered the world's worst agricultural insect pest due to its wide distribution, wide range of hosts (its larvae infest more than 260 fruits and vegetables), and its ability to tolerate cool climates. The Medfly prefers such thin-skinned hosts as peach, nectarine, apricot, avocado, grapefruit, orange, and cherry. The female may lay one to 10 eggs per fruit or as many as 22 eggs per day. She may lay up to 800 eggs during her lifetime, but usually about 300. We remember when the Medfly wreaked economic havoc in the Solano County city of Dixon in September 2007. We were there. At the time, Carey told us that "this may be just one of many isolated pockets of medfly infestations in California. This is really serious because the invasion process is so insidious." The Medfly has been multiplying and spreading undetected--like cancer--for years, he said. "It may be a symptom of a much larger problem. But any way you look at it, this is the first really big outbreak in the Central Valley." CDFA set up a command center at the Dixon May Fair and imposed a 114-mile radius quarantine of fruits, vegetables and nuts. Dixon was deep in the throes of tomato and walnut harvesting. The owner of a 65-acre organic produce farm that ships to 800 clients worried that he might lose $10,000 a week in potential sales. Fast forward to today. Now that the Medfly has been declared a "permanent resident," what's next? Carey agrees that “CDFA needs to continue to respond to outbreaks as they occur, but he advocates long-term planning based on “the science” that the insects are established. This includes heightened monitoring levels for the agriculturally rich Central Valley, an economic impact study, risk management/crop insurance, cropping strategies, fly fee zones/post harvest treatments, emergency/crisis planning, genetic analysis and a National Fruit Fly Program. 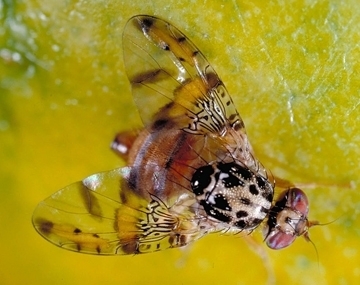 “Inasmuch as the Mediterranean, Mexican, Oriental, melon, guava and peach fruit flies have all been detected in the Central Valley, monitoring this incredibly important agricultural region should be increased by 5 to 10-fold in order to intervene and suppress populations and thus slow the spread,” Carey says. From a trickle to a flood. But why? Professor James R. Carey of the UC Davis Department of Entomology will tell you why. 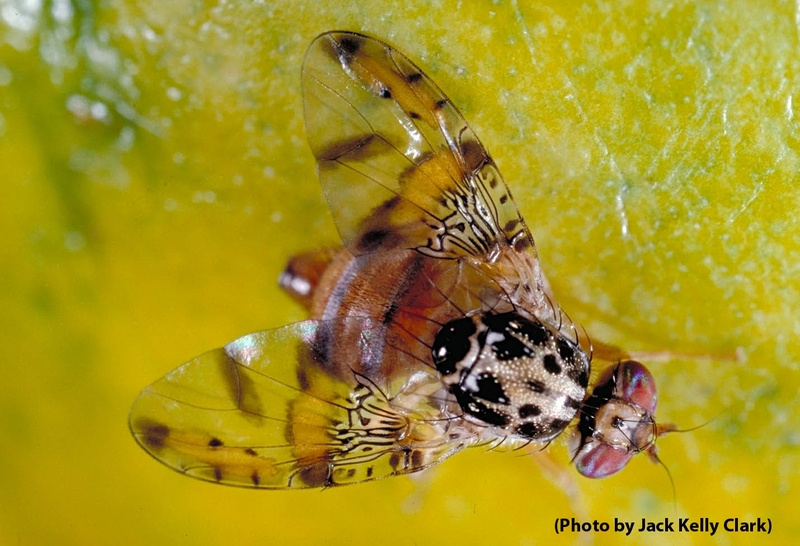 He will discuss the invasion of tropical fruit flies in California at his seminar from 12:05 to 1 p.m., Wednesday, April 3 in Room 1022 of the Life Sciences Addition, corner of Hutchison and Kleiber Hall drives. Carey's seminar, titled "From Trickle to Flood: The Large-Scale, Cryptic Invasion of California by Tropical Fruit Flies," is the first in the department's spring-quarter seminar series. It's open to all interested persons, and it will be recorded and available for later viewing on UCTV. In his seminar, Carey will "outline and discuss the evidence for our conclusions with particular attention to the incremental, chronic, and insidious nature of the invasion involving ultra-small, barely-detectable populations. I will consider the more general implications of our results in scientific, economic, and operational contexts of invasion biology, as well as ethical issues concerned with the purposeful obfuscation of historical fruit fly detection data at individual, administrative and institutional levels." 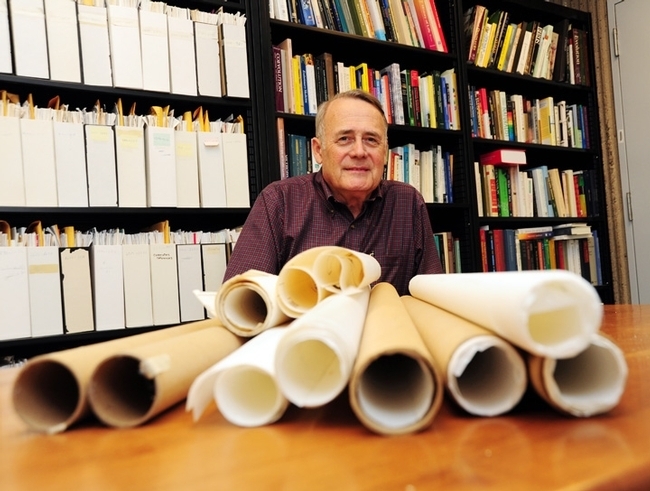 Carey, former vice chair of the Department of Entomology, focuses his research on insect demography, mortality dynamics, and insect invasion biology. He received his bachelor and master of science degrees from Iowa State University (1973; 1975) and his doctorate in entomology from UC Berkeley (1980). Highly recognized, he is a fellow of the American Association for the Advancement of Science, the Gerontological Society of America, the California Academy of Sciences, and the Entomological Society of America. Carey is a noted authority on the invasion of the tropical fruit flies. He served on the California Department of Food and Agriculture's Medfly Scientific Advisory Panel from 1987-1994, testified to the California Legislature "Committee of the Whole" in 1990 on the Medfly Crisis in California, and authored the paper "Establishment of the Mediterranean Fruit Fly in California" (1992, Science 258, 457).